This is an exciting opportunity to carry out an important leadership role within the Family Wellbeing Service, an innovative partnership between Children 1st, East Renfrewshire Health and Social Care Partnership and The Robertson trust. 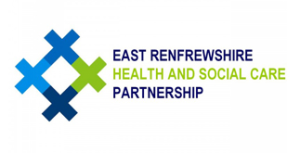 The service is jointly funded by East Renfrewshire Health and Social Care Partnership and The Robertson trust to build on the success of the Family Wellbeing Service and increase the service provision across the region. The posts will provide leadership to a team of Project Workers who offer child-centred, family minded approaches to offer early help to children and families who are worried, upset or experiencing difficulties in their lives. We recognise the vital role of nurturing supportive families and communities in ensuring the long-term wellbeing of children and young people. We are a passionate team who place a lot of focus on the importance of building relationships with children, families, colleagues and partners. If you have experience of leading reflective practice and innovative trauma-sensitive approaches within a similar setting then we want to hear from you. This is a permanent, full time role of 35 hours per week. Closing date: Sunday 28 April 2019 at midnight. It is anticipated that interviews will take place on Friday 17 May 2019. The selection process will include seeking PVG Scheme information. This is an exciting opportunity to join the Family Wellbeing Service, an innovative partnership between Children 1st, East Renfrewshire Health and Social Care Partnership and The Robertson trust. The team offer child-centred, family minded approaches to offer early help to children and families who are worried, upset or experiencing difficulties in their lives. We are a passionate team who place a lot of focus on the importance of building relationships with children, families, colleagues and partners. If you are a reflective practitioner and have experience of trauma-sensitive approaches within a similar setting then we want to hear from you. Do you have experience of providing direct support to vulnerable families, and the professionals working with them? Are you able to deliver training to professionals? 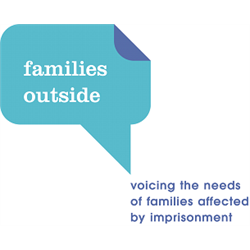 Based with our Glasgow team and covering North Strathclyde, you will provide direct support to children and families affected by imprisonment while liaising with our partner organisations in the criminal justice sector. Who Cares? Scotland is the country’s only national independent, representative membership organisation for Care Experienced people. Our vision is of a Lifetime of Equality, Respect and Love for Care Experienced people. The post holder will facilitate participation and engagement of care-experienced children and young people from South Lanarkshire. The intention is to create opportunities for the voices, views and experiences of care experienced children and young people to be heard by professionals, carers and leaders, helping to bring about positive change. The post holder will work closely with partner organisations to develop a programme of engagement and participation activities, through this developing and maintaining excellent working relationships with these partner organisations. Core activities will include issue-based group work, forums and events, and the post-holder will need to utilise youth work and/or community engagement skills in this role. The right candidate will have a relevant qualification, to a minimum HNC/SVQ 3 (SCQF level 7) in a discipline related to working with children and young people, or equivalent work experience. They will have excellent interpersonal and communication skills, both written and verbal. They will be able to form positive working relationships with children and young people and build links with professional partners, and have a strong affinity for working collaboratively. The right candidate will have managerial experience and skills and be comfortable managing and prioritising their workload to mead deadlines. They will be committed to children’s rights, inclusive working, equal opportunities, and believe that young people can make transformative change happen in their lives if given the opportunity. A full driving licence is also required, due to the regional remit of the post.